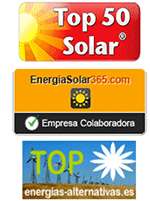 Self-consumptiom Solar PV kits with storage There is 1 product. A self-consumptiom solar PV kit with storage is based on covering an important part of our energy needs with solar energy. During the day we consume what we produce, and the excess is stored in batteries to consume overnight. When lack of sunshine or overconsumption makes it necessary, the network provides the missing electricity. A good dimensioned such Solar kit can decrease electricity bill by more than 90%, depending on how our electricity consumption. Thanks to acquire self-consumptiom solar PV kit with storage can become independent of the conventional power grid, which becomes a backup system in case of need. Conventional electricity grid can provide security of supply, but avoid consuming from it as far as possible. Since most of the energy is received from the solar system, we can reduce the contracted power, in some cases below 1 kW, allowing us to lower the fixed term of the bill considerably. With a self-consumptiom solar PV kit with storage from tienda-solar we managed to stop the increase in our energy bill, which is now 990 euros per year for an average family, according to IDAE, and reduce it to less than 10%.